Jacob Rodriguez has spent his entire life inside a hospital -- until now. Jacob Rodriguez came into this world with the odds seemingly stacked against him. The 22-month-old was born prematurely with an abdominal wall defect called omphalocele, in which an infant's intestines and other organs protrude outside the body. He has spent his entire life inside a hospital in Dallas -- until Tuesday. Jacob left the Medical City Dallas Hospital and went home with his parents for the very first time Tuesday afternoon -- exactly 686 days after he was born. 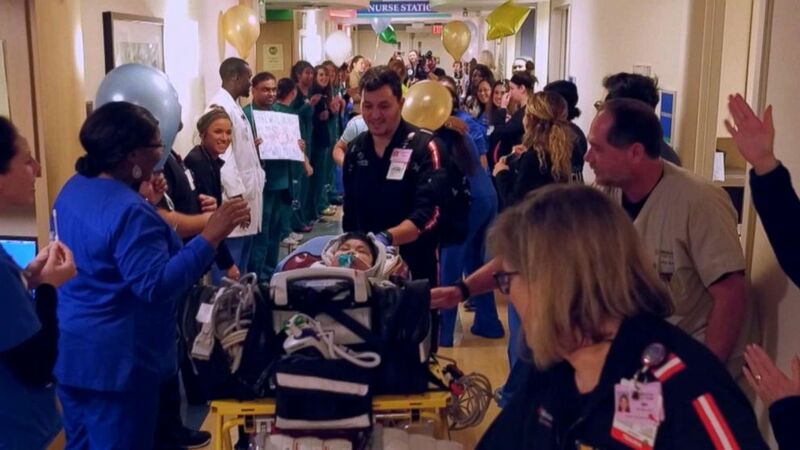 (WFAA) Staff celebrates as Jacob Rodriguez leaves the Dallas hospital Medical City Dallas after spending 685 in the hospital, Jan. 22, 2019. Doctors, nurses and staff who have been providing round-the-clock care for Jacob and his family lined the hallway in the pediatric wing to celebrate. They blew bubbles, waved and cheered as paramedics wheeled Jacob, who will still need a ventilator for some time, into the ambulance that would transport him home. "He always has the cutest little giggle and he laughs all the time," pediatric intensive care nurse Taylor Gille told ABC Dallas affiliate WFAA in a recent interview. "He just has a really good outlook on life, and I hope he keeps that and does something great in his life -- which he will, I have no doubt." Jacob's mother, Ogla Rodgriguez, said she feared this day would never come. "I really thought I would never be able to take him out of here alive," she told WFAA this week. Rodriguez recalled the "gut-wrenching feeling" when doctors informed her and her husband that something was wrong with their unborn child after the first ultrasound. It had taken her years to get pregnant. "They did tell me the risks, you know, that he would die in-utero," she said. "And of course that broke us to pieces, thinking, 'We've wanted this for so long, and there's a possibility we might lose him.'" 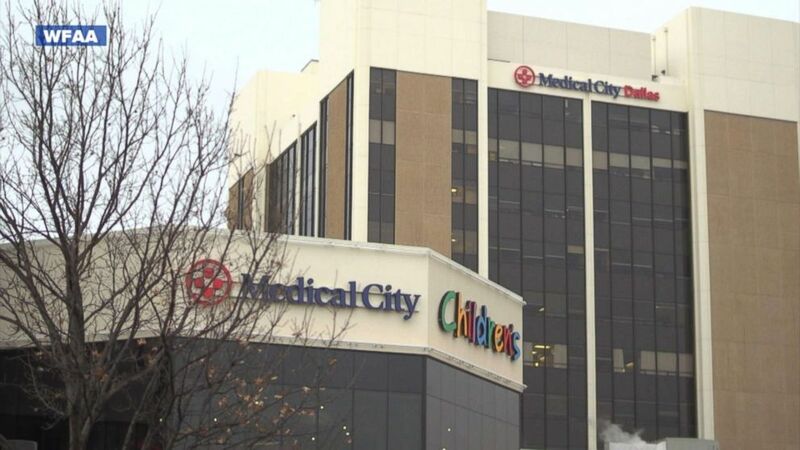 (WFAA) The Dallas hospital Medical City Dallas where Jacob Rodriguez spendt 685 in the hospital, Jan. 22, 2019. Jacob was born at 32 weeks gestation on March 8, 2017, at the Medical City Dallas Hospital, weighing just 2 pounds and 14 ounces. His intestines, liver and parts of his stomach were outside of his body, and his lungs were severely underdeveloped. 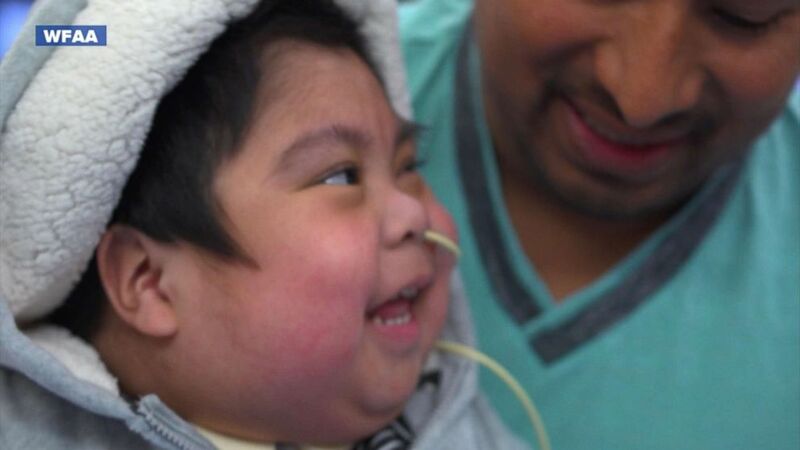 Rodriguez spent every day in the hospital with Jacob, leaving only at night when he fell asleep. "I'm just ready for him to see the world, I want him to experience that," his mother tearfully told WFAA. "I just want him to see and experience things like a normal child." She said she wants her son to grow up knowing how strong he already is. "If he can overcome this, he can overcome anything," she said. "He's so strong."